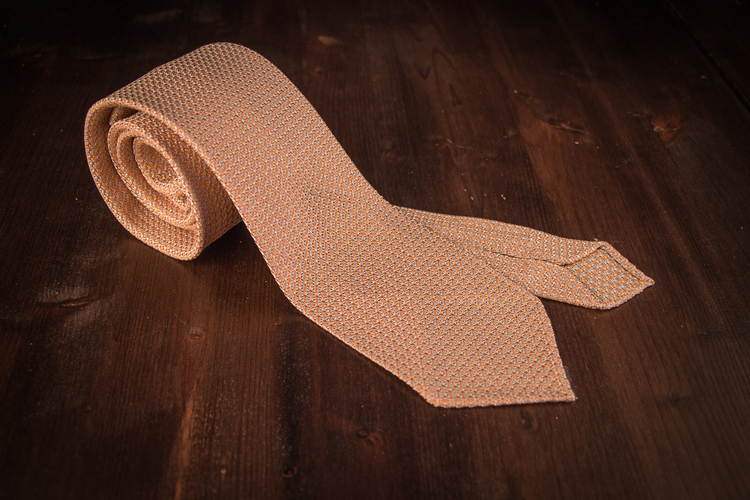 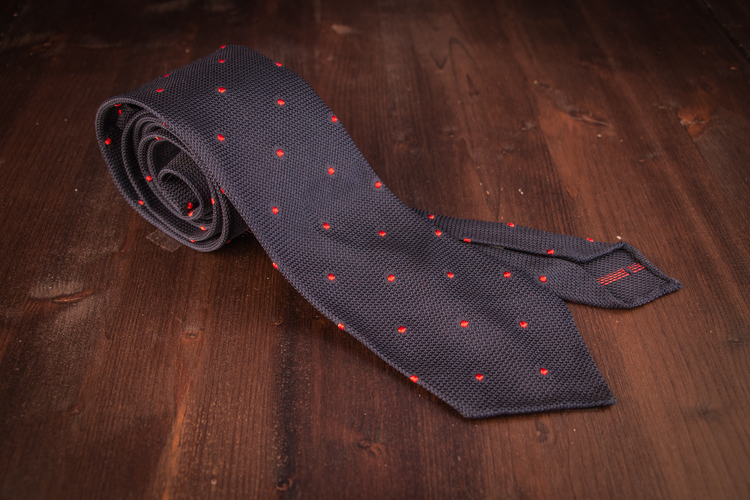 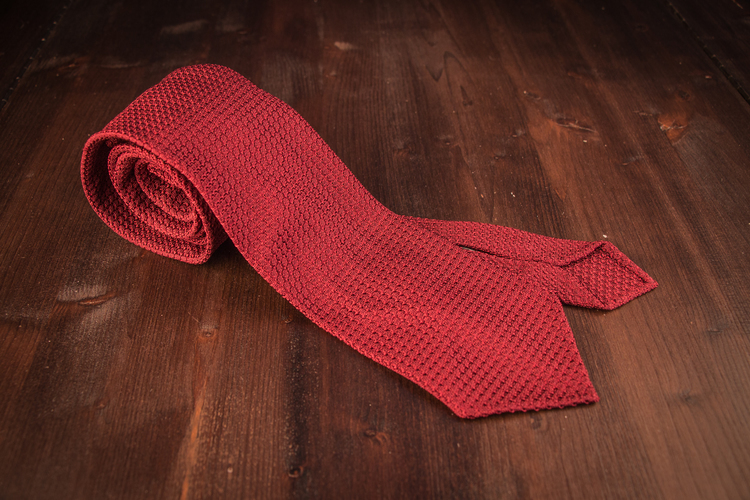 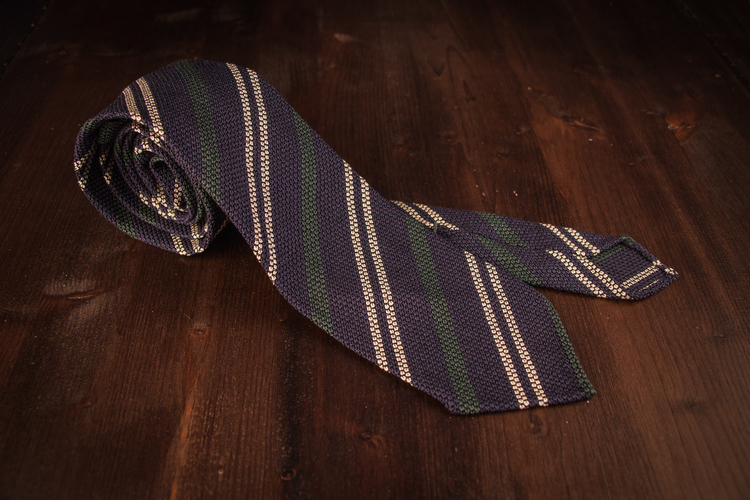 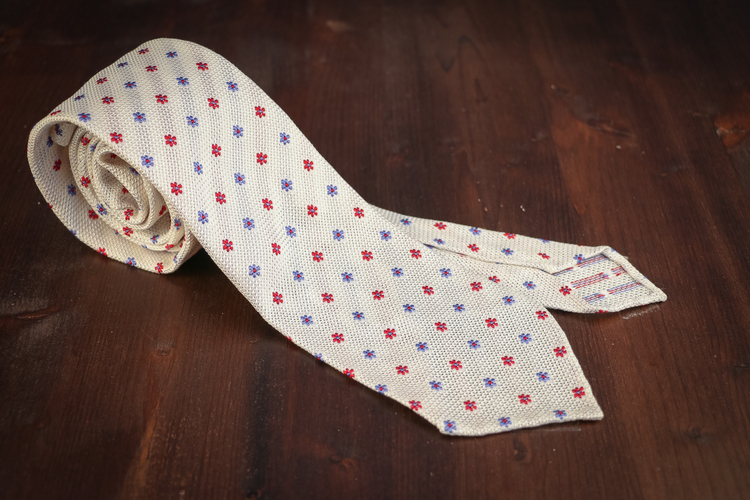 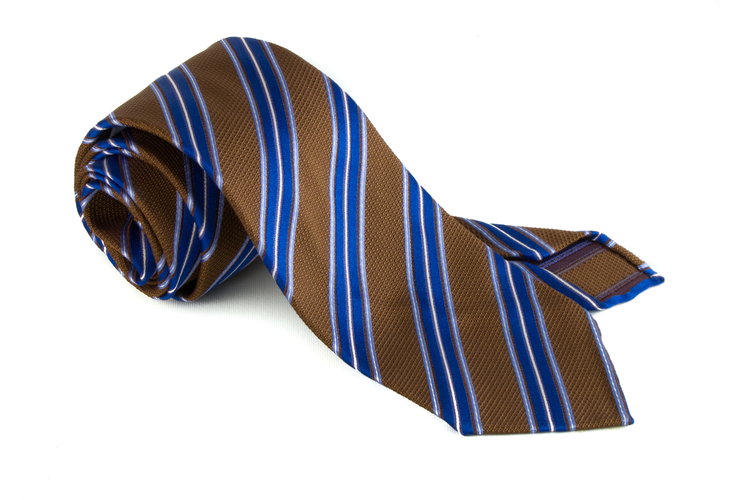 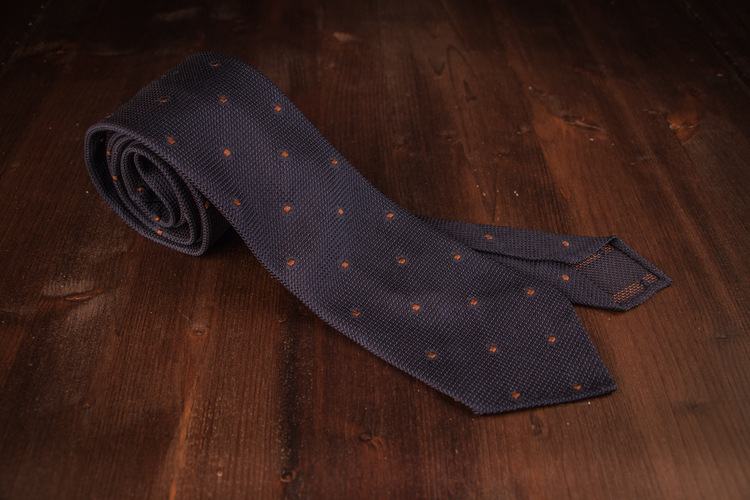 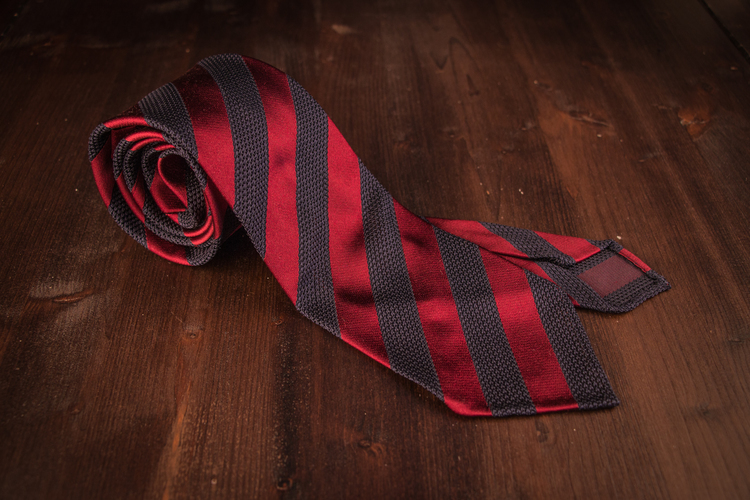 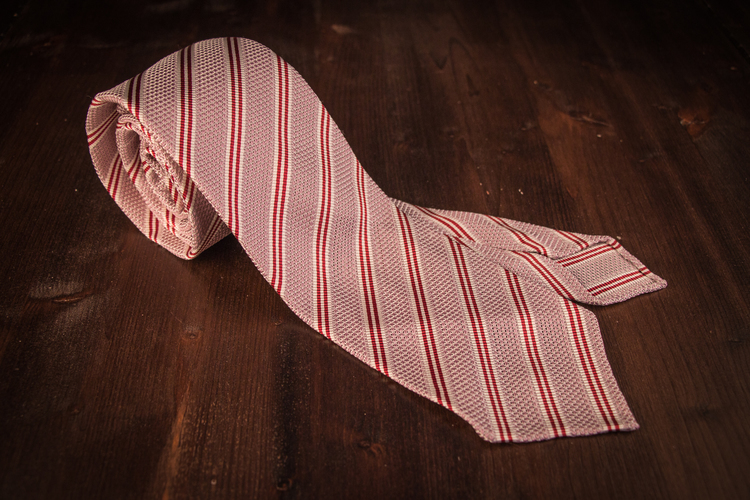 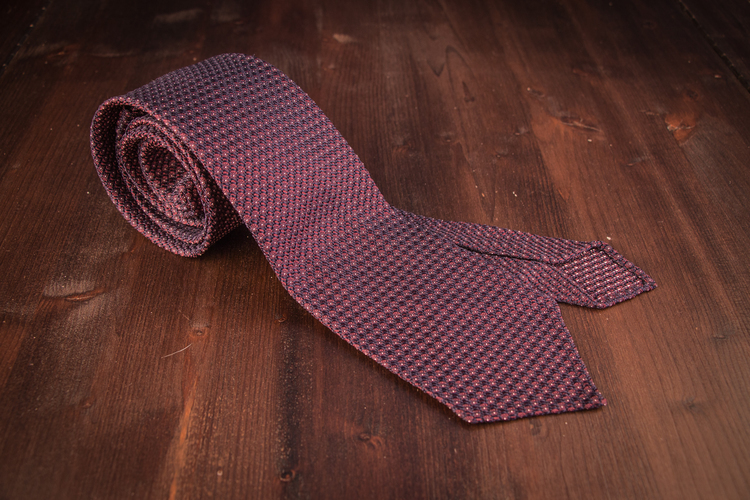 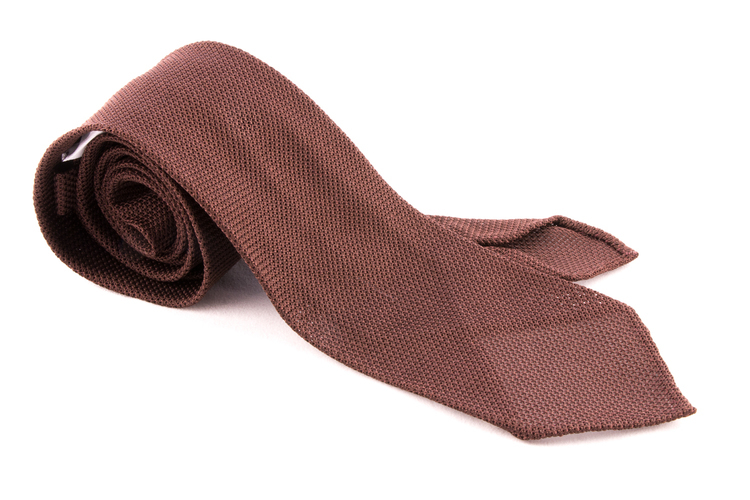 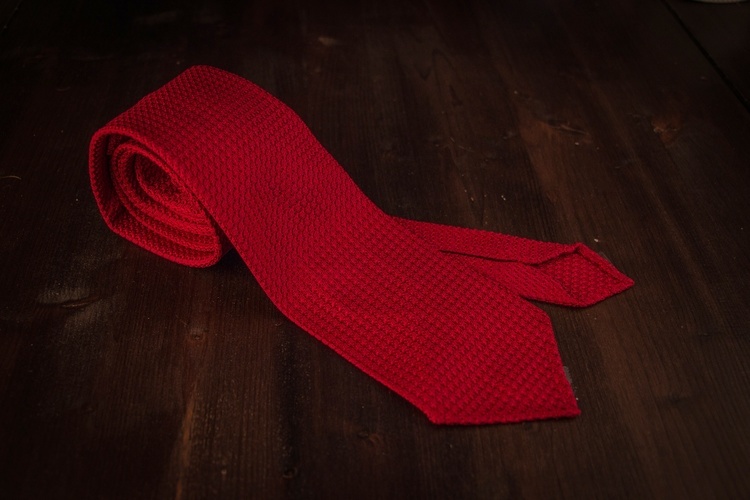 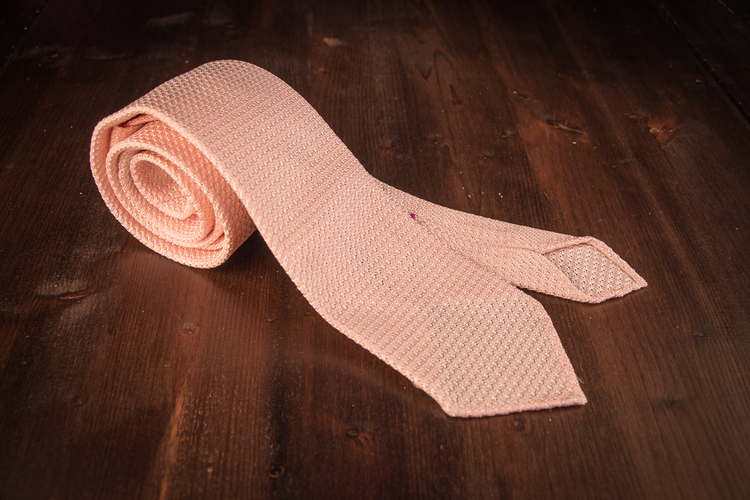 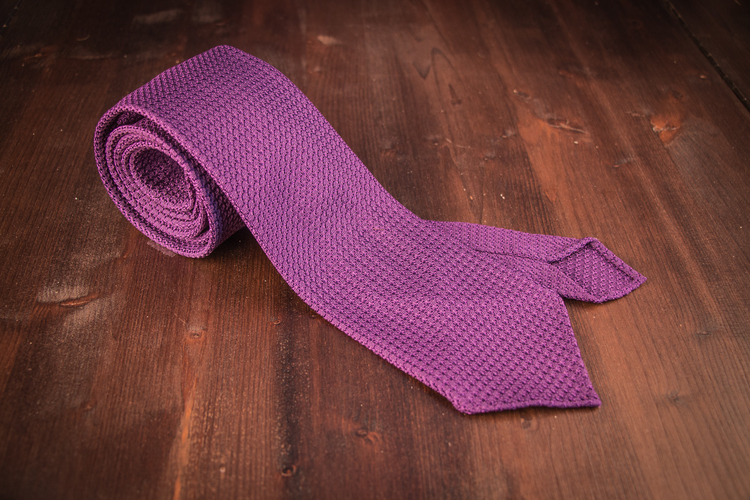 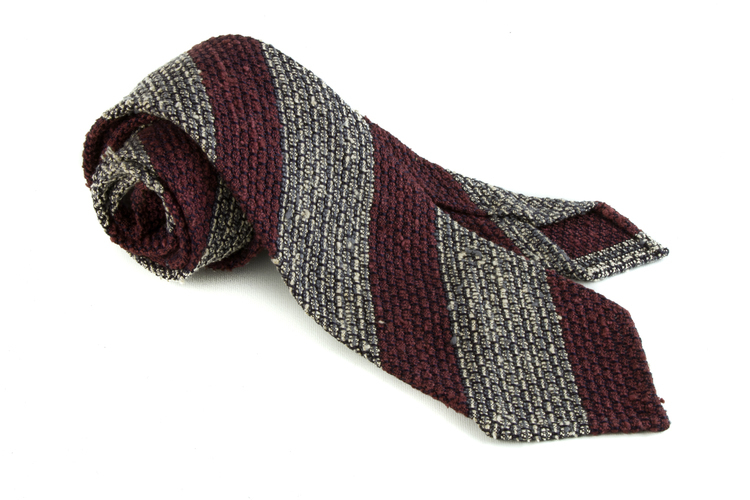 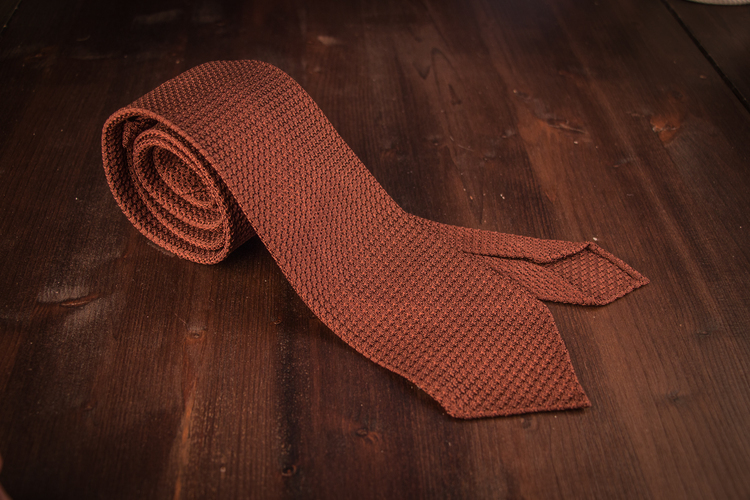 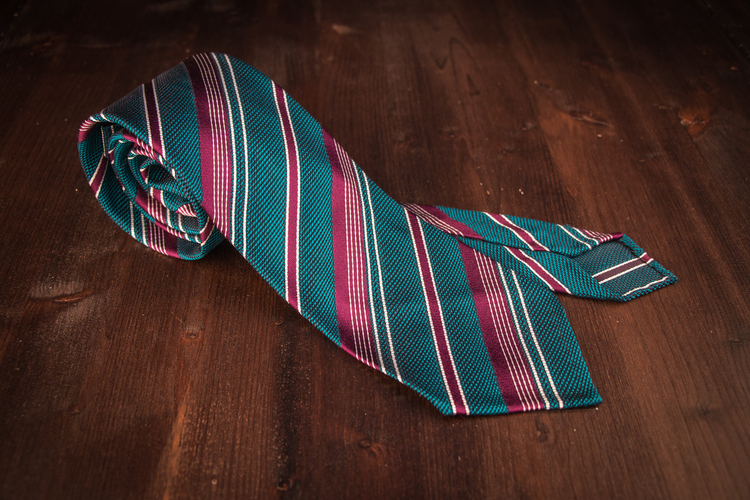 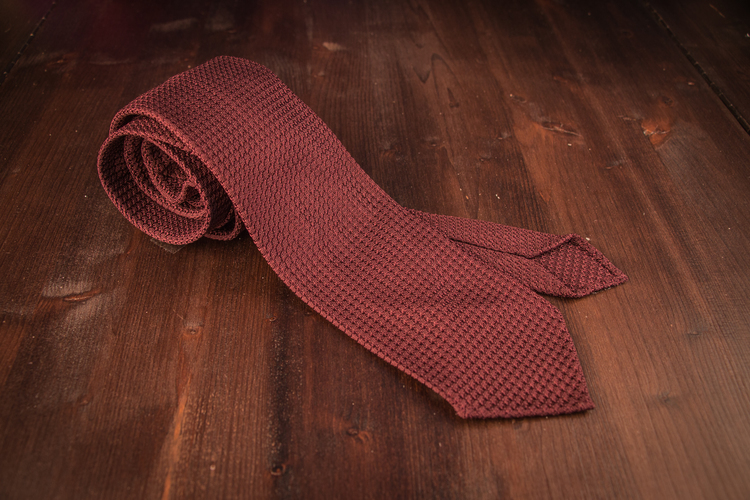 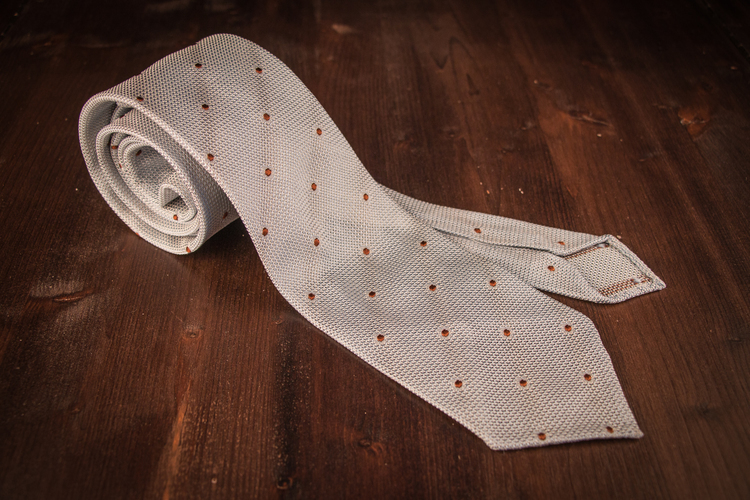 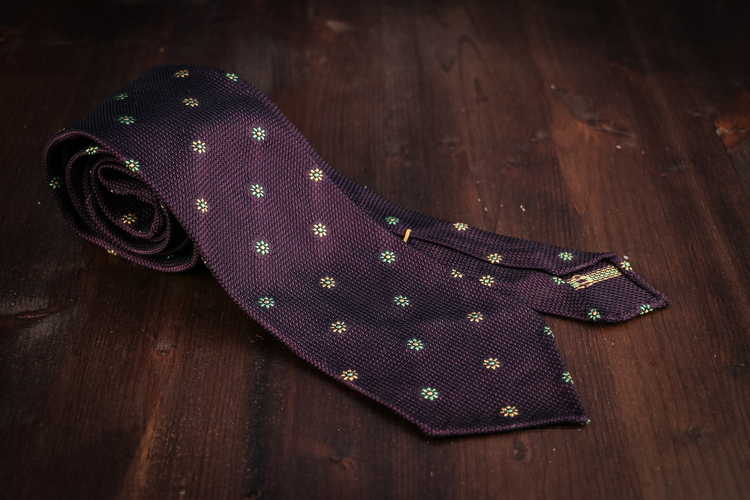 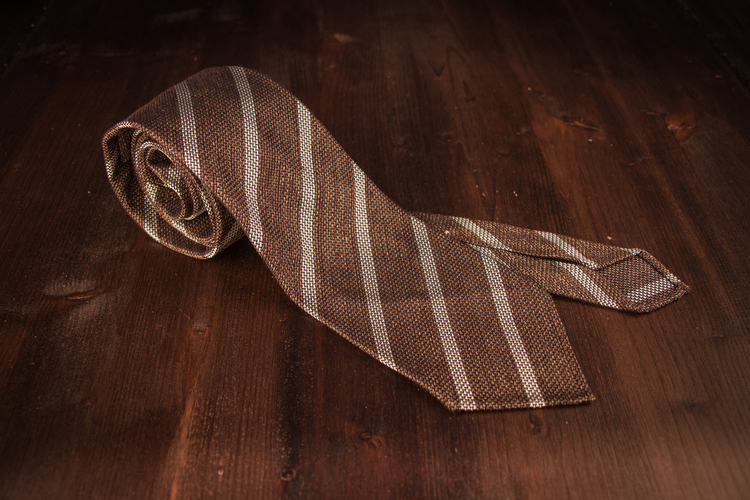 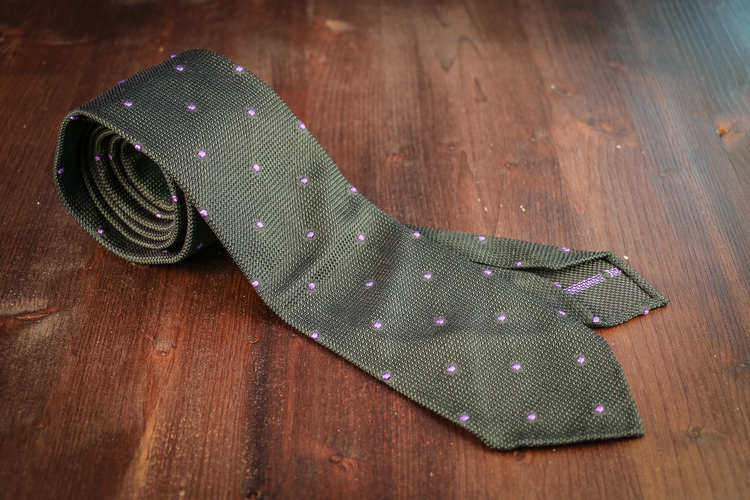 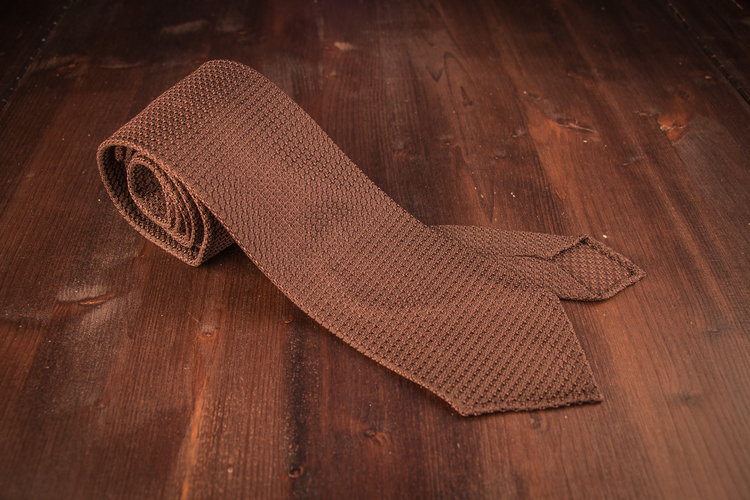 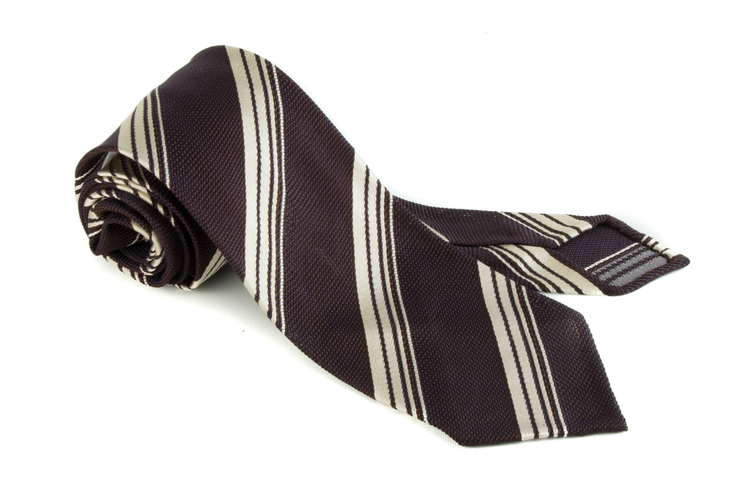 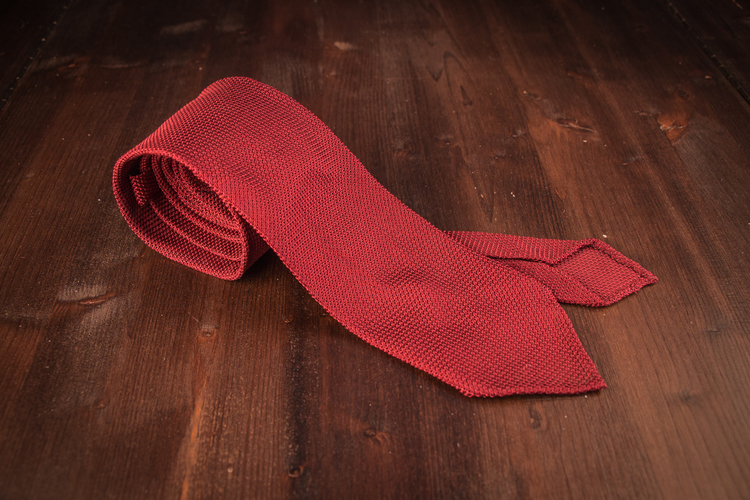 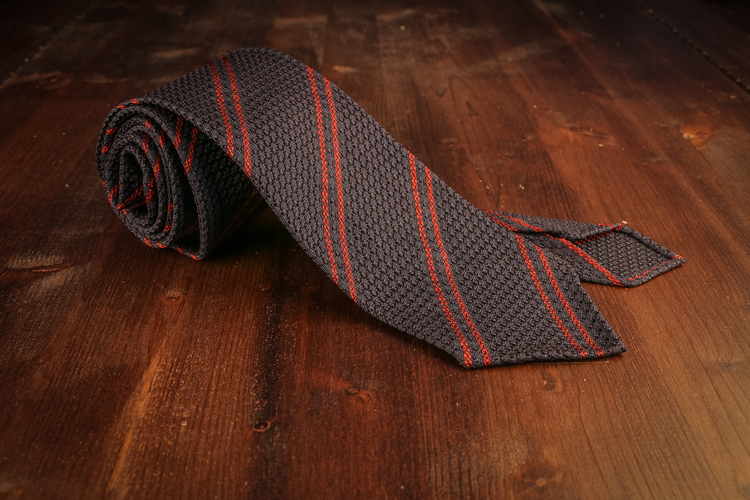 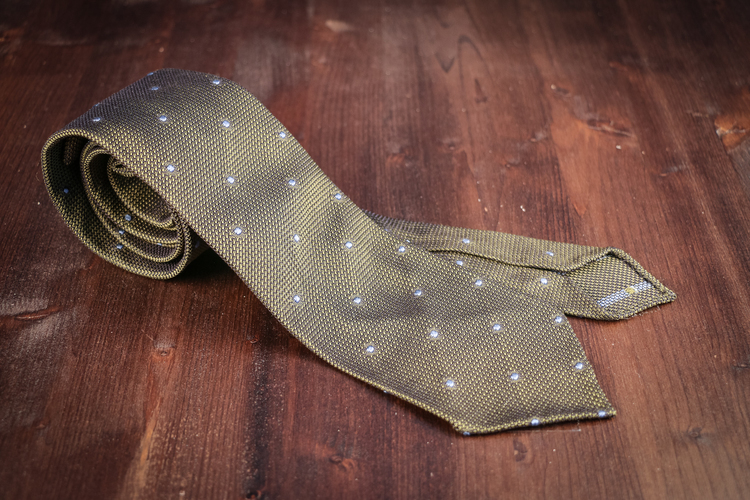 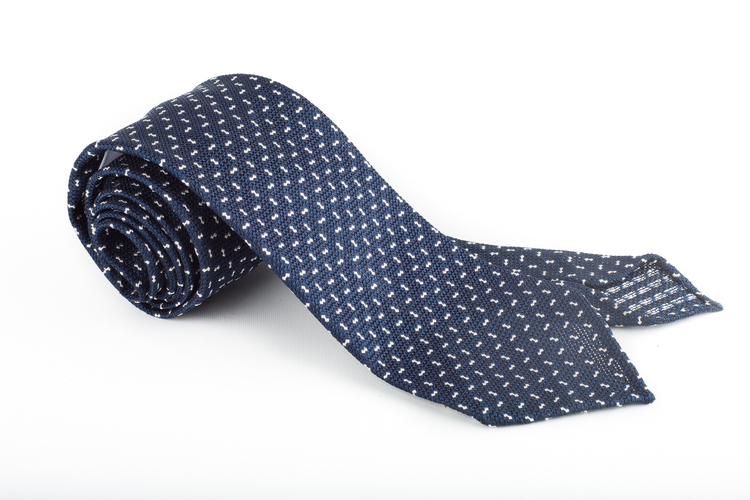 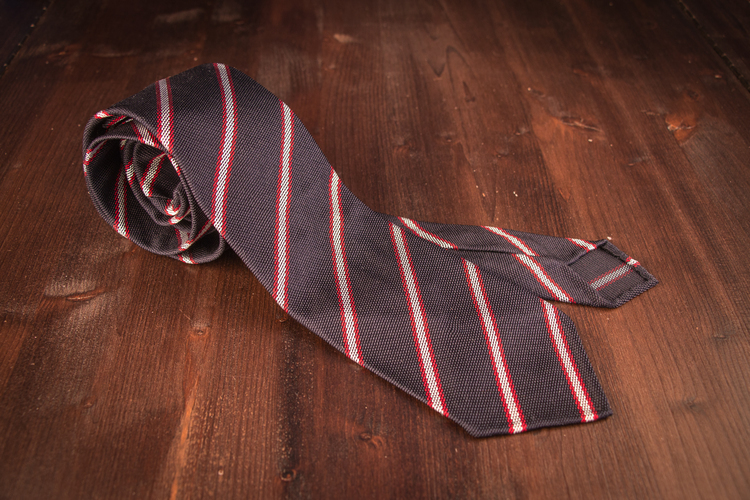 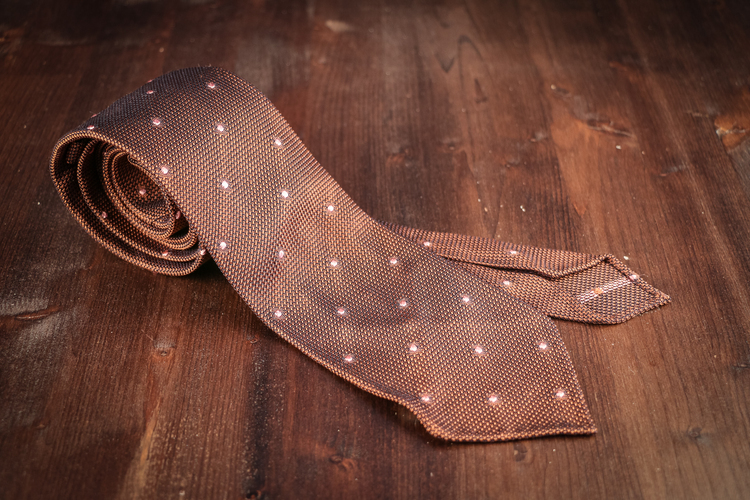 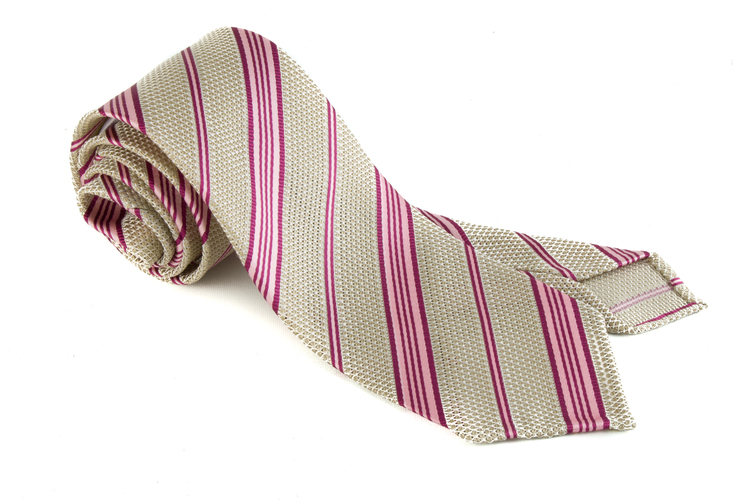 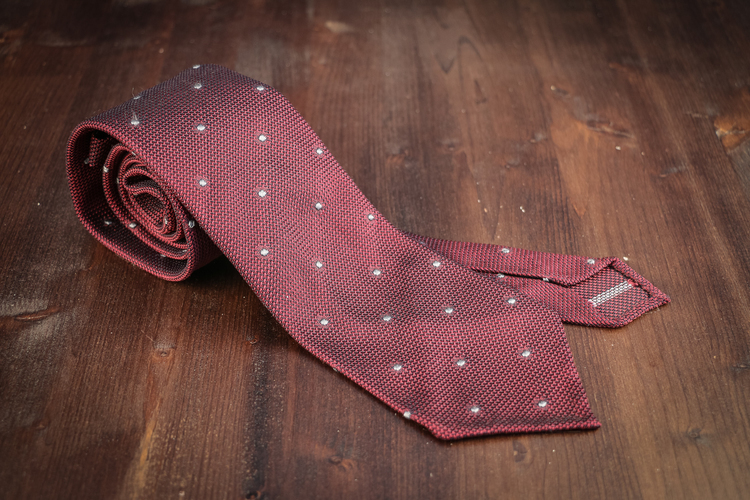 Grenadine ties are among our customers favourites. 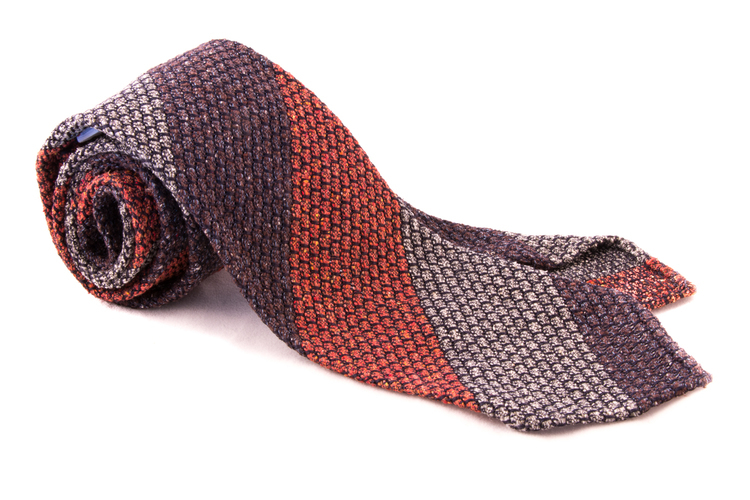 The complex weave is produced on old tree mills in Como, Italy. 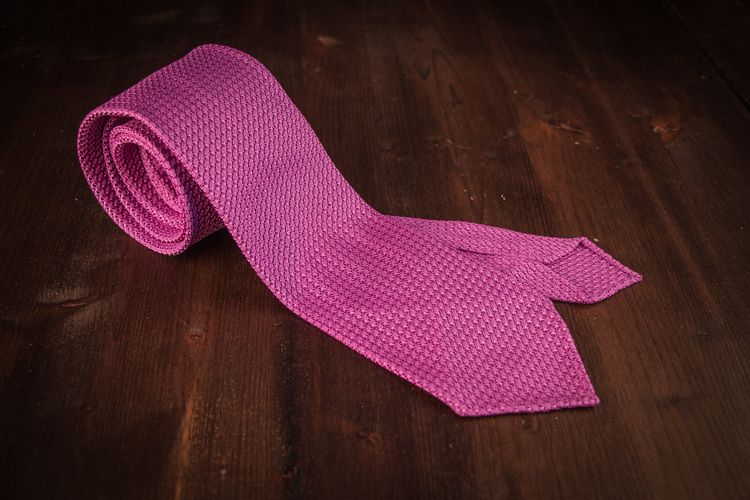 There are only two mills in the world that can produce Grenadine fabrics. 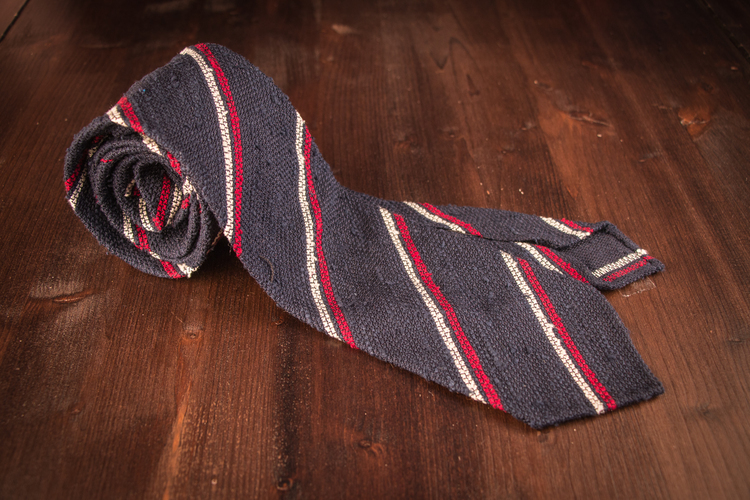 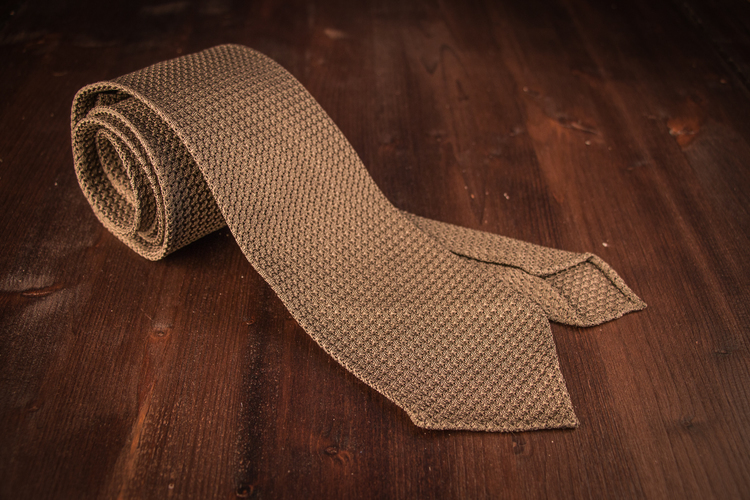 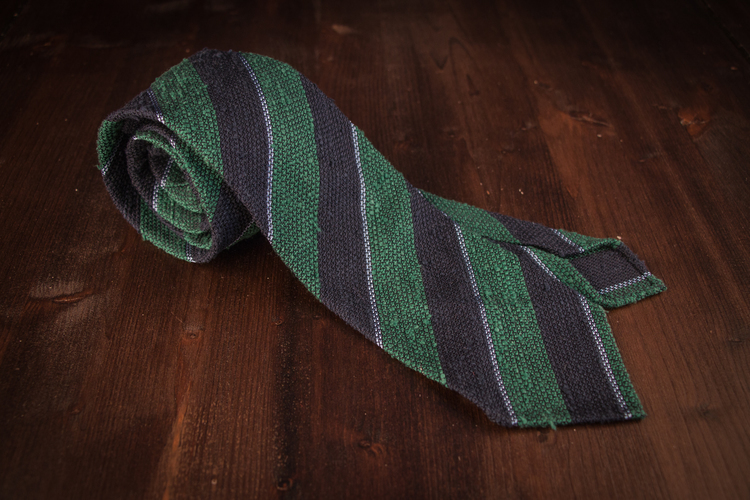 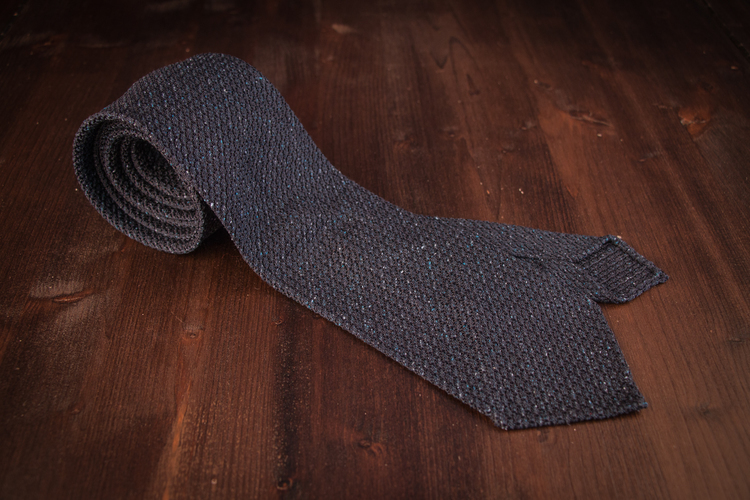 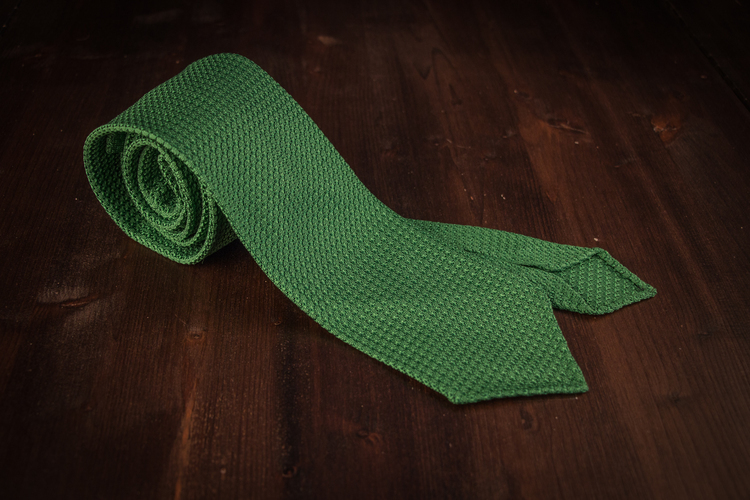 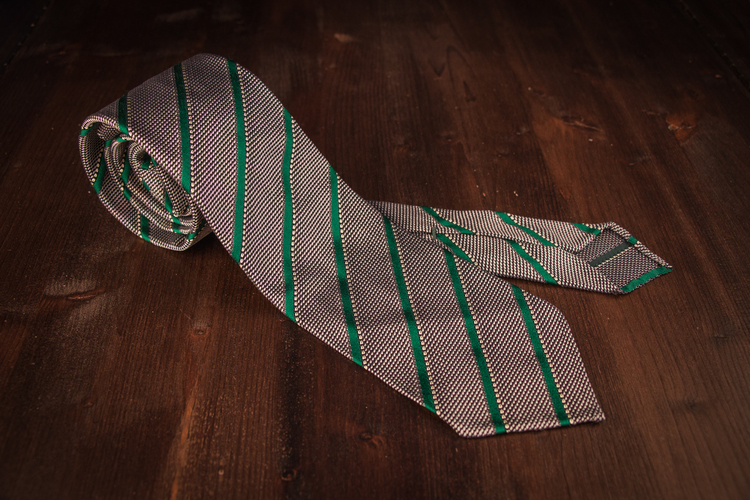 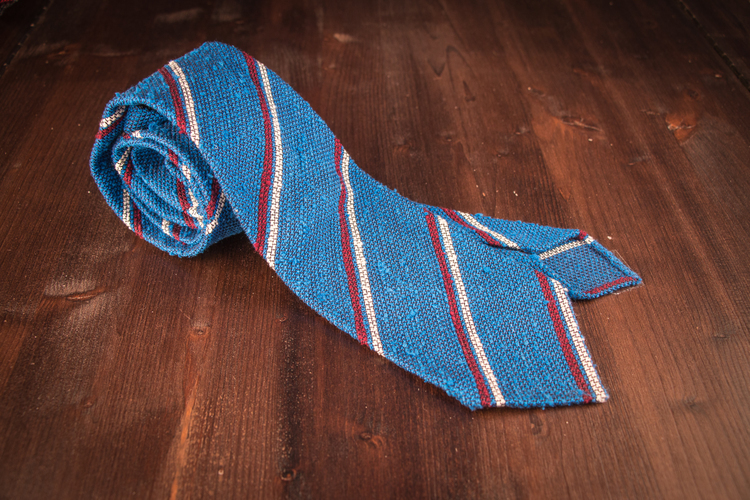 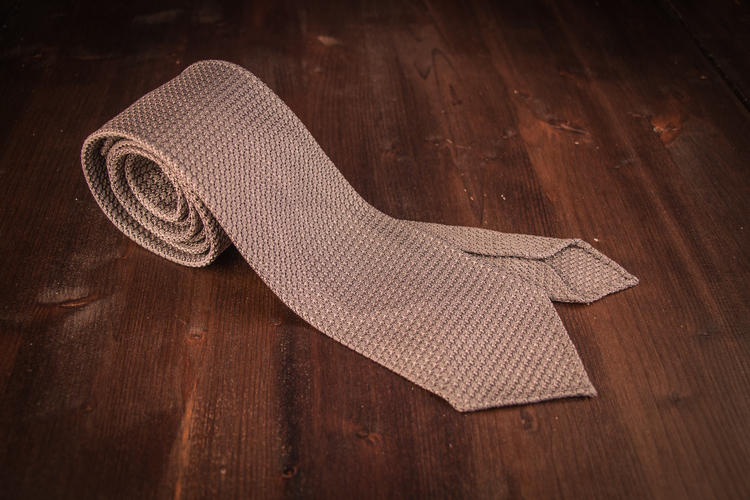 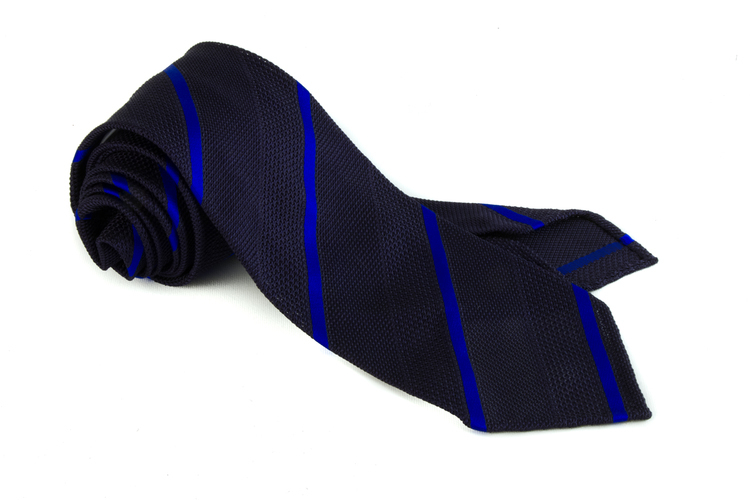 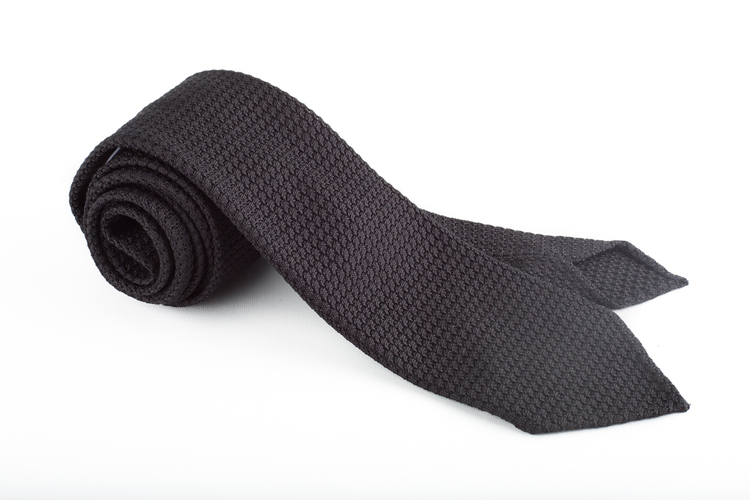 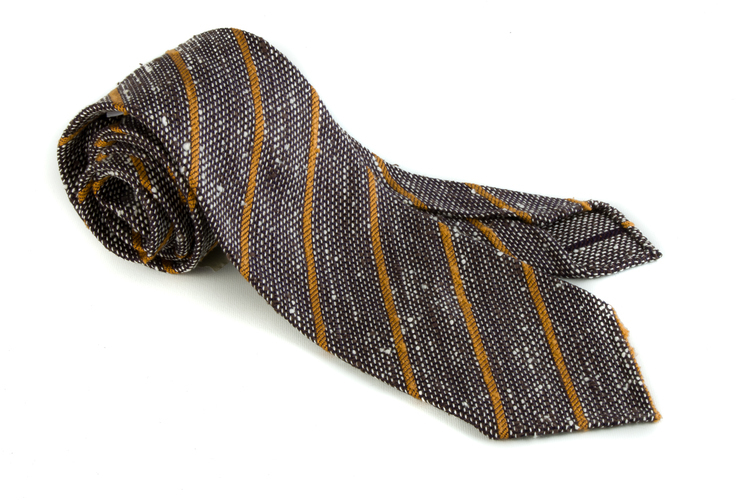 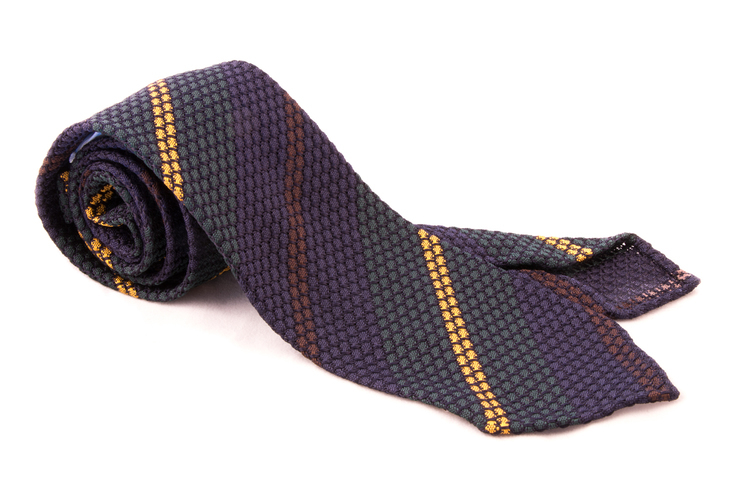 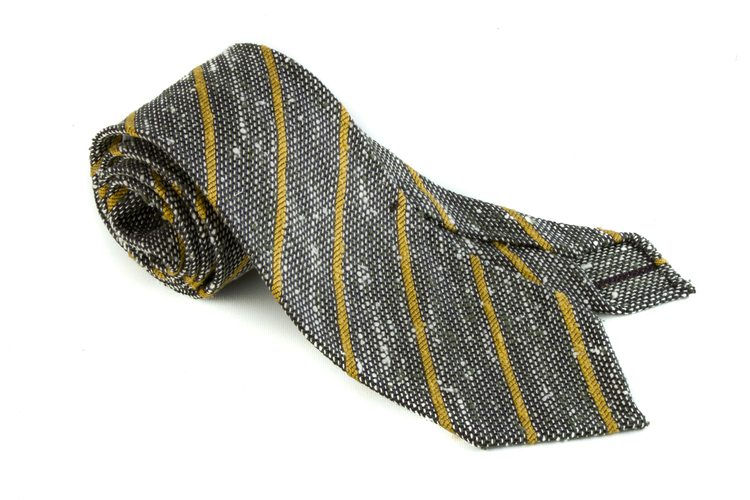 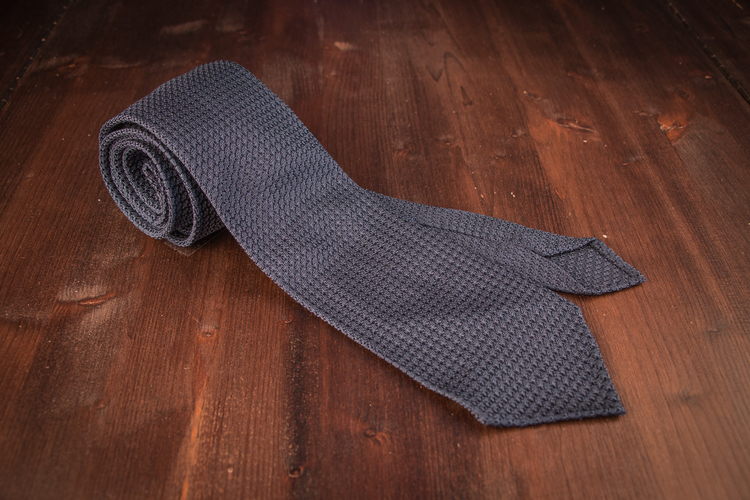 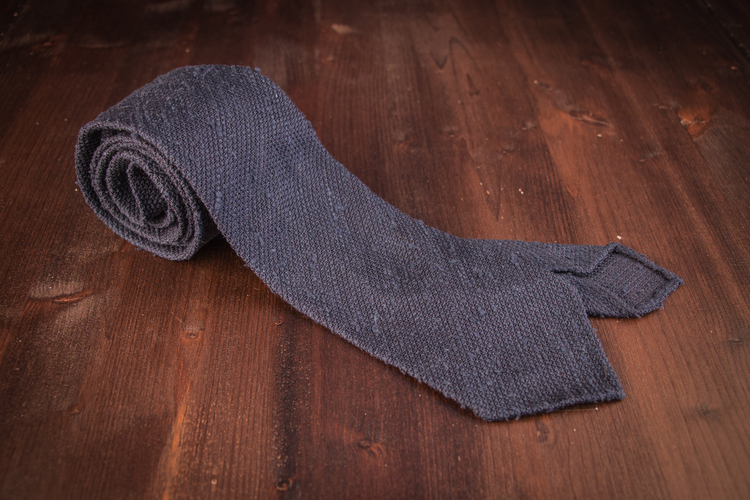 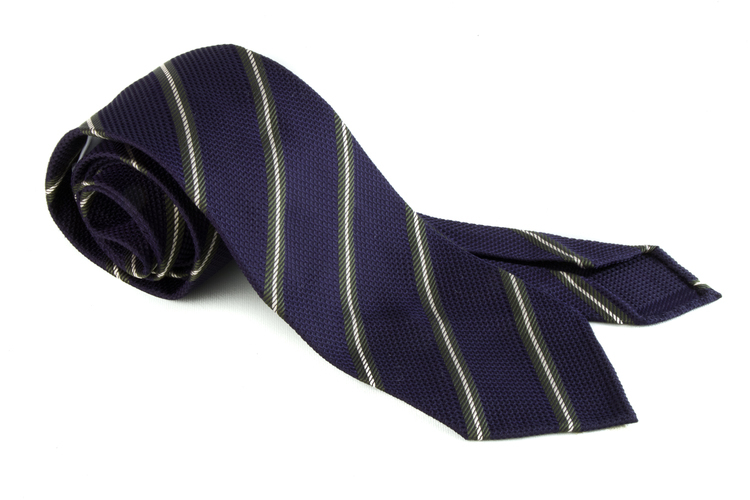 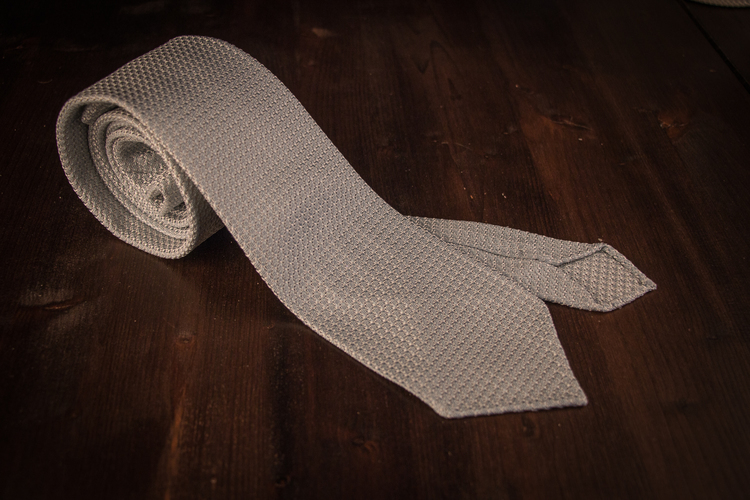 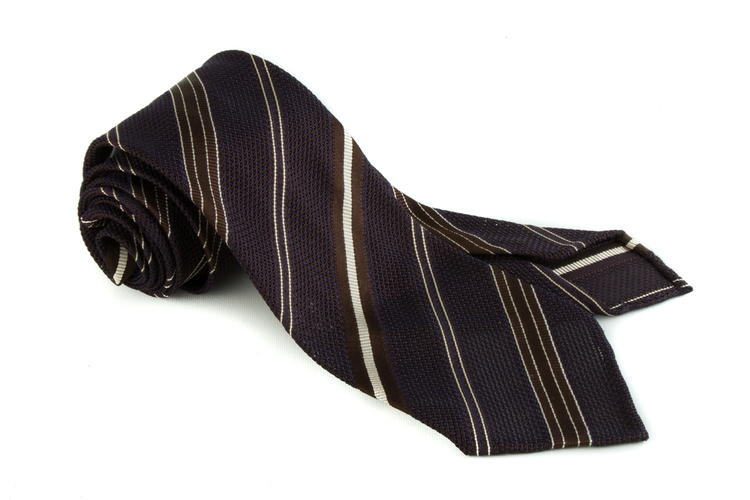 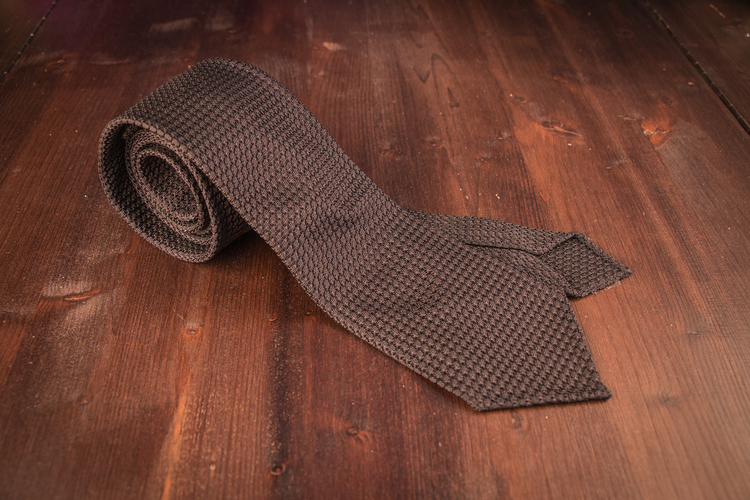 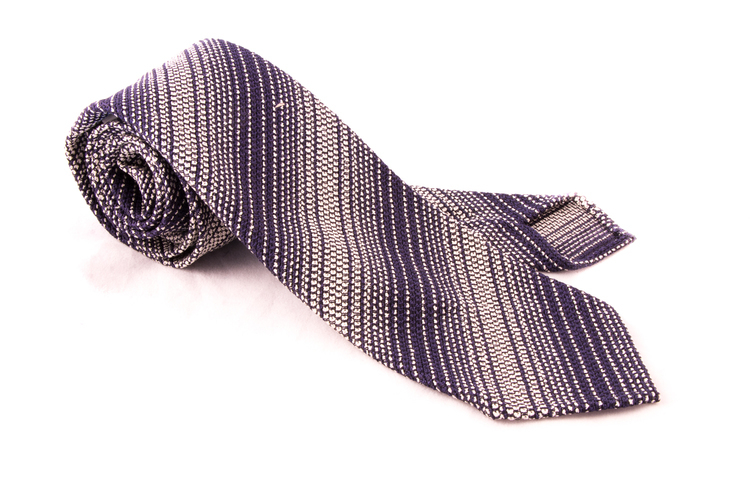 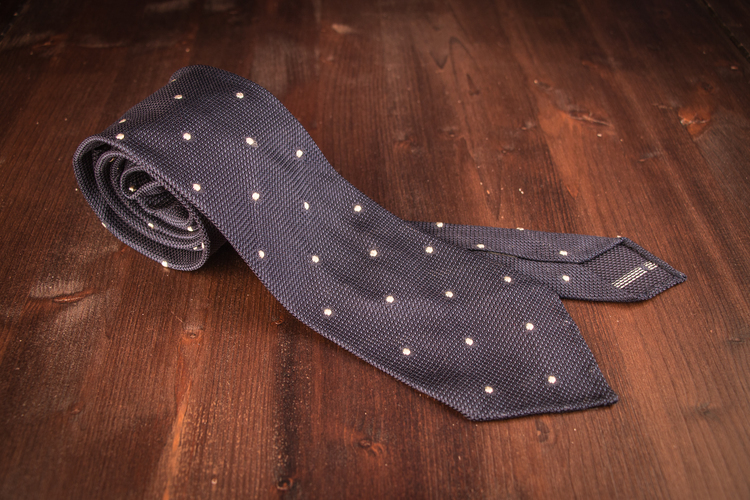 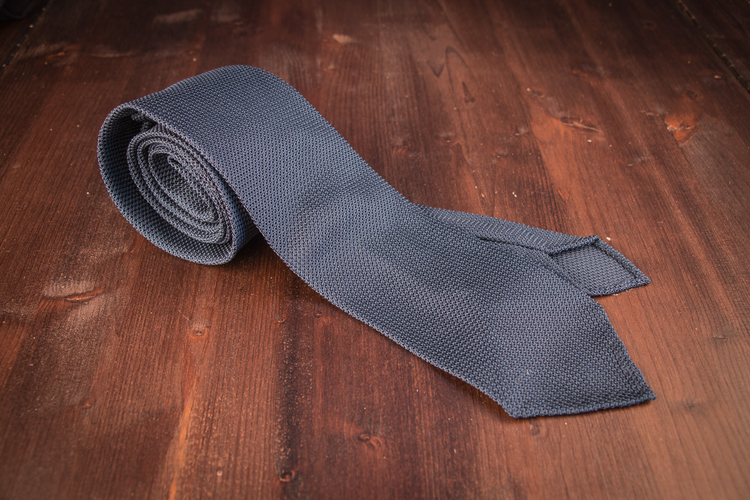 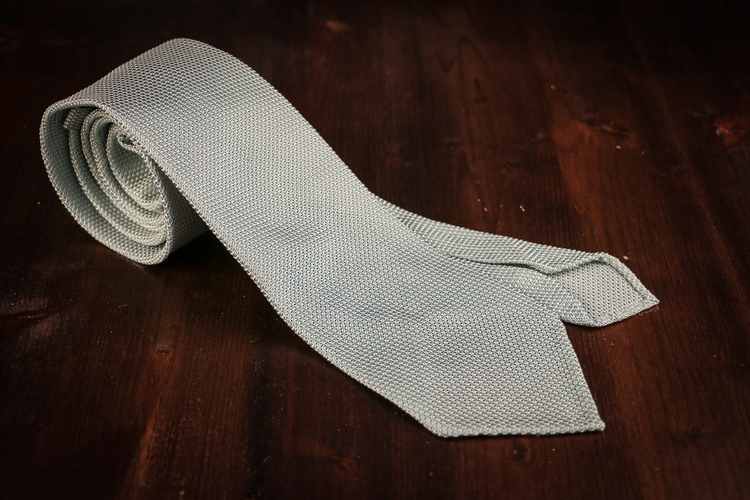 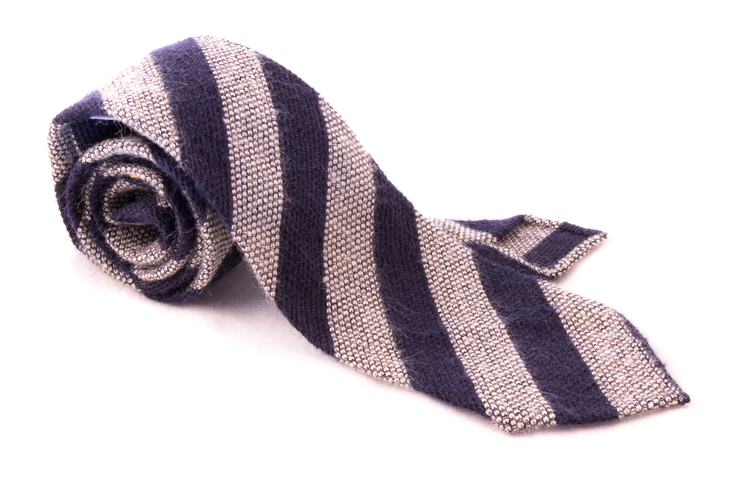 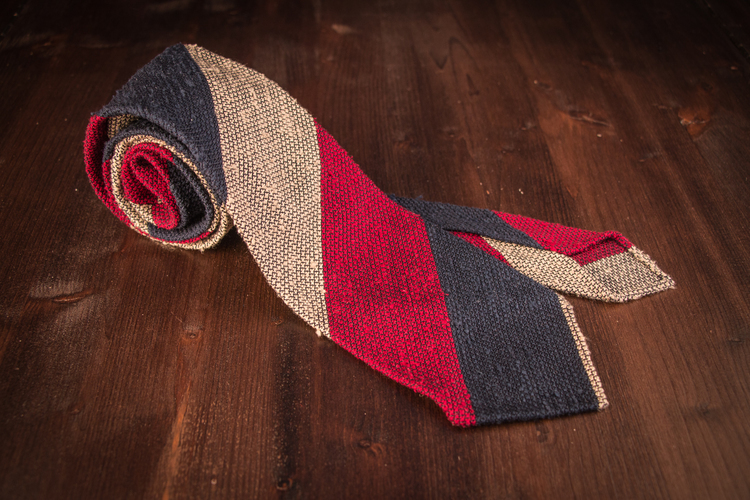 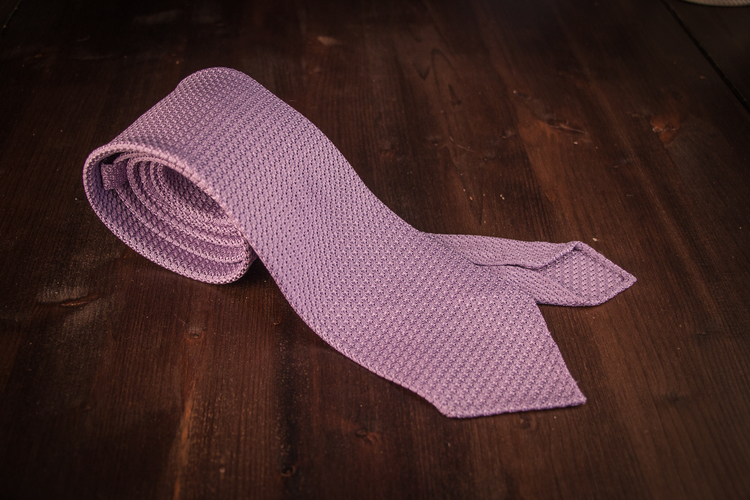 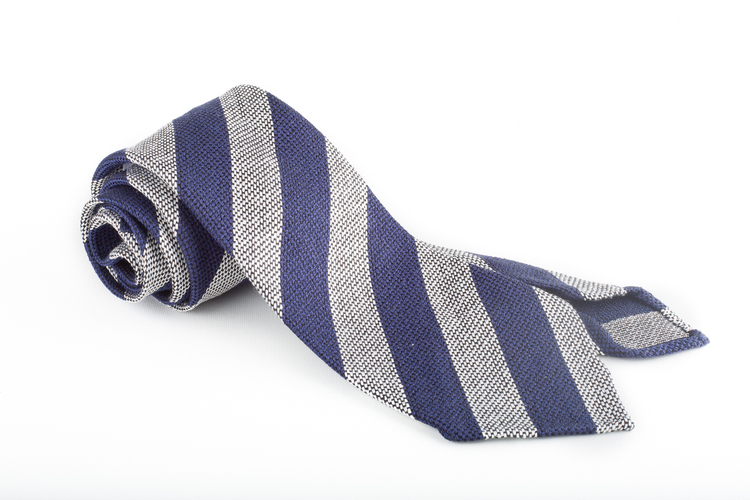 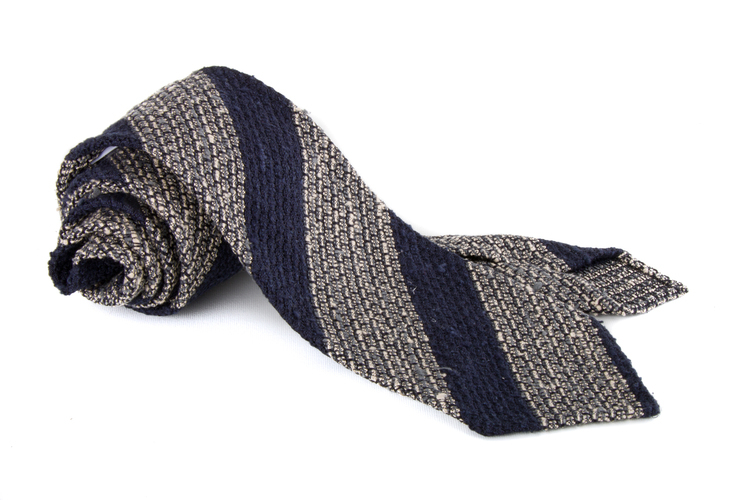 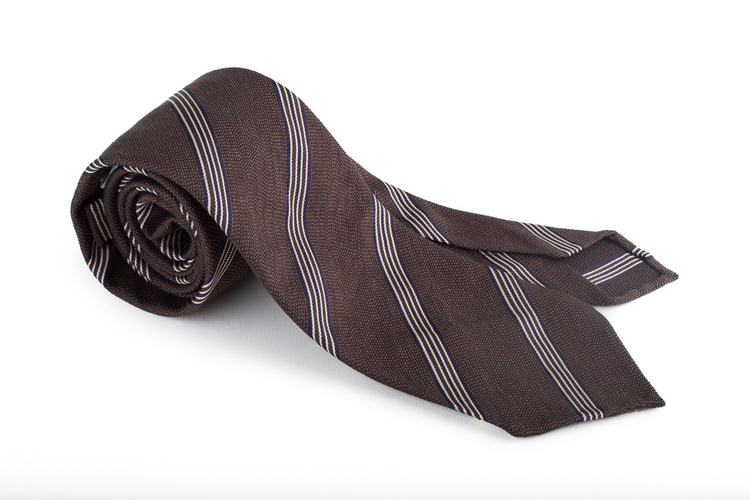 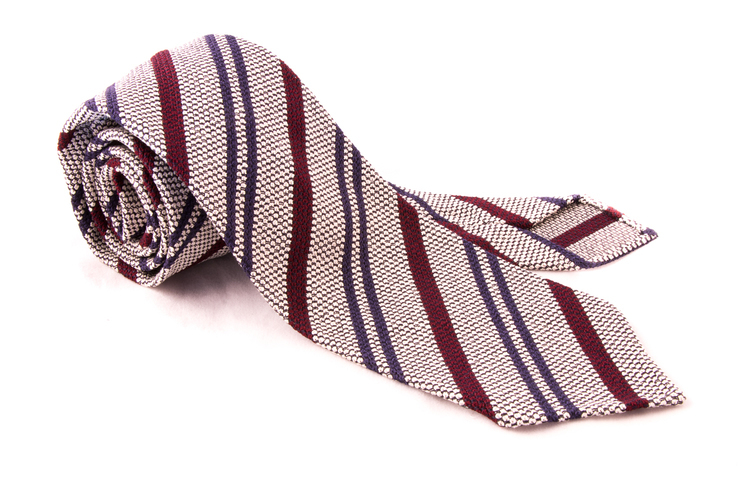 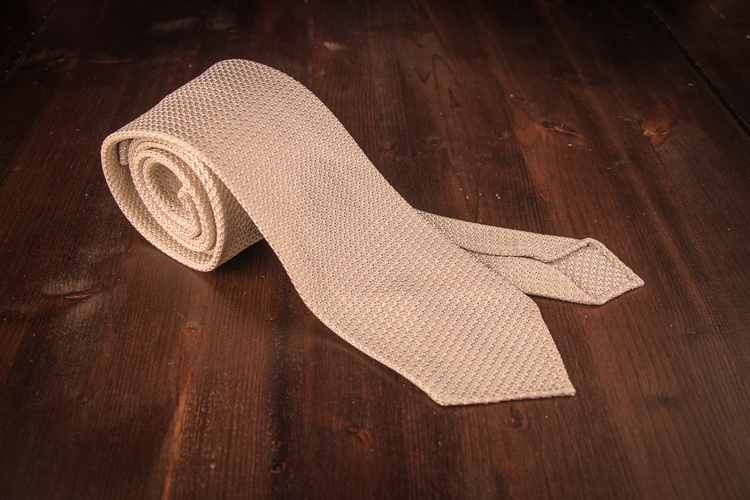 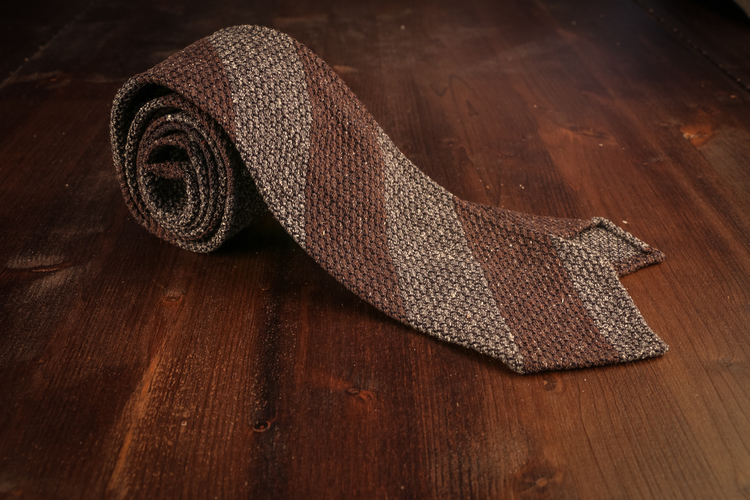 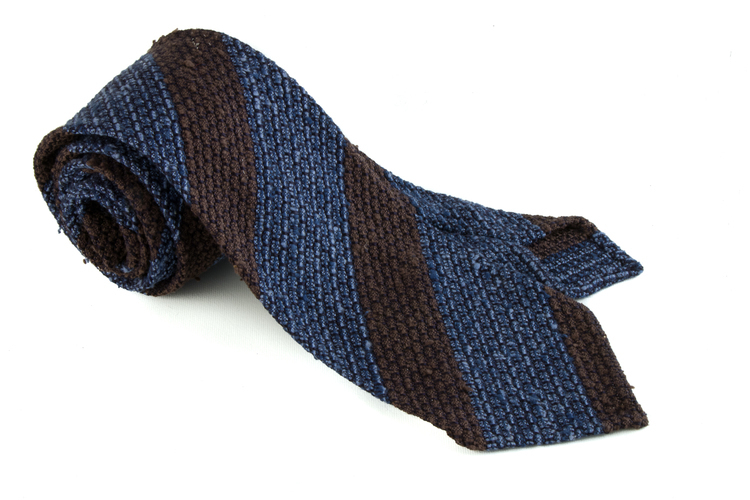 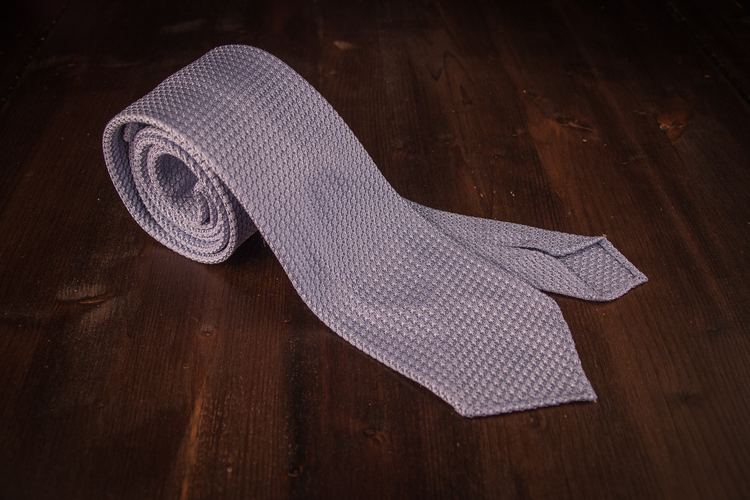 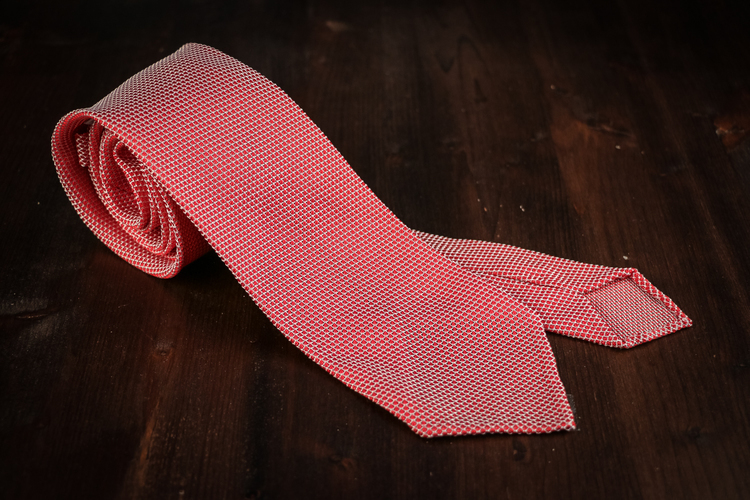 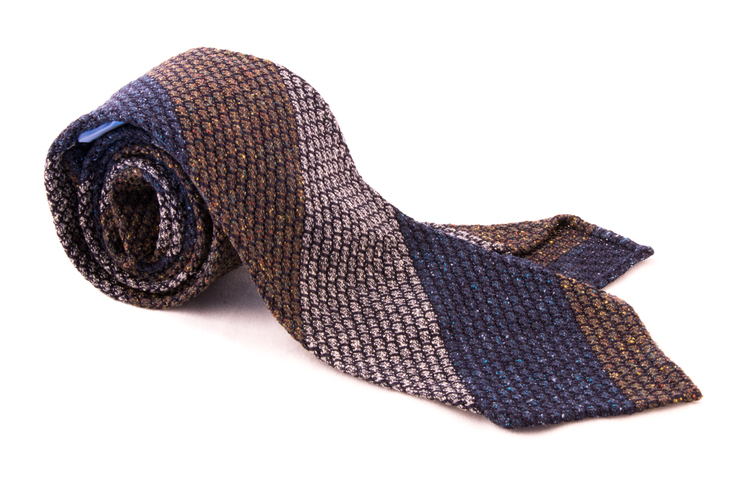 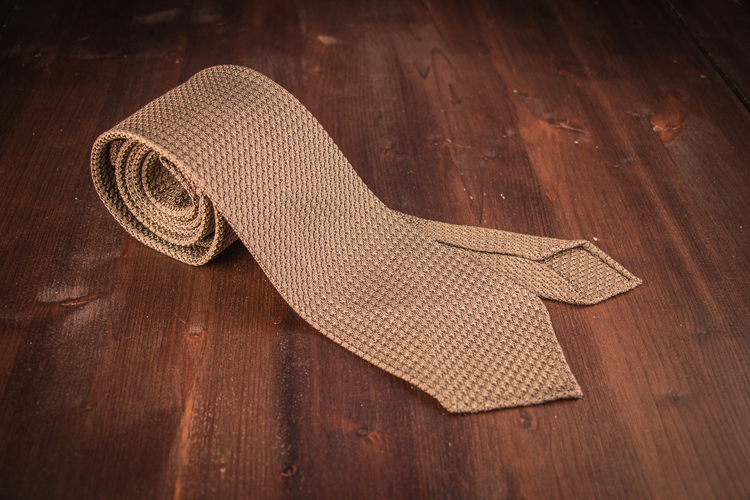 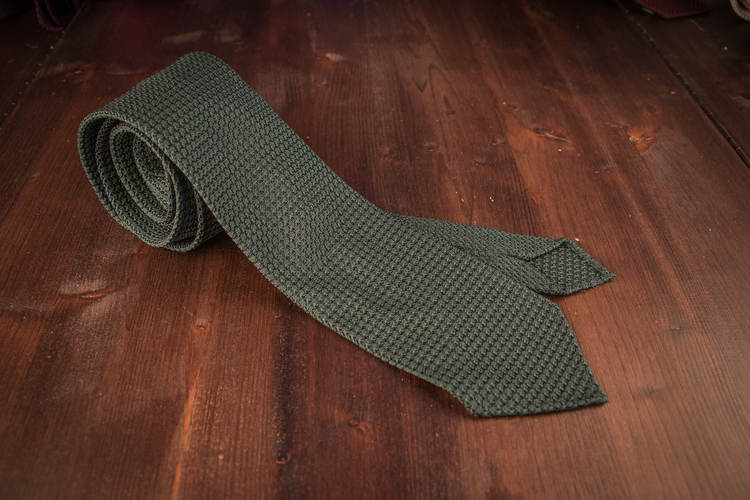 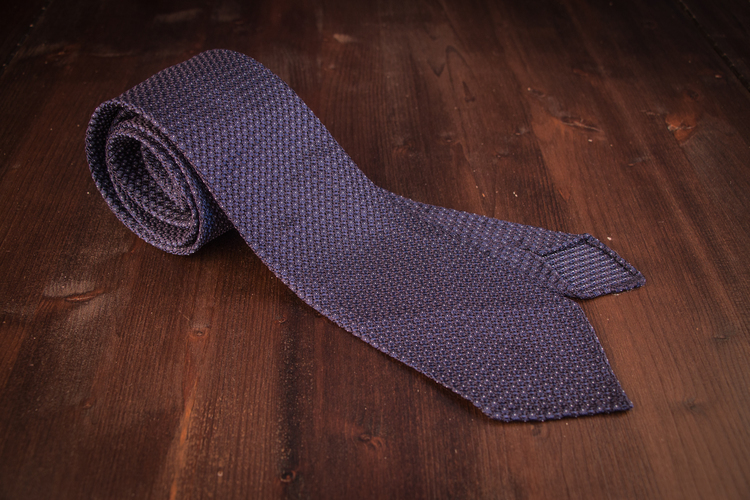 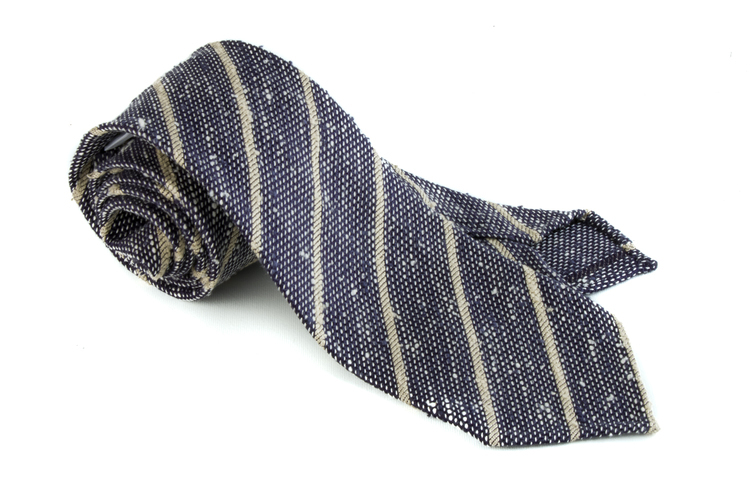 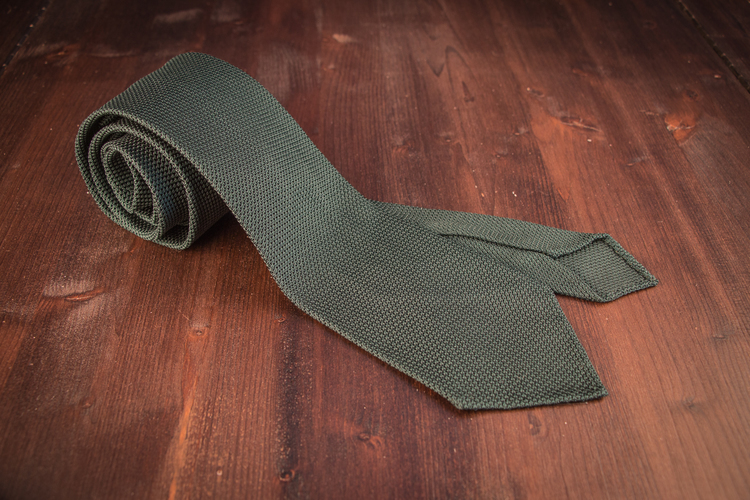 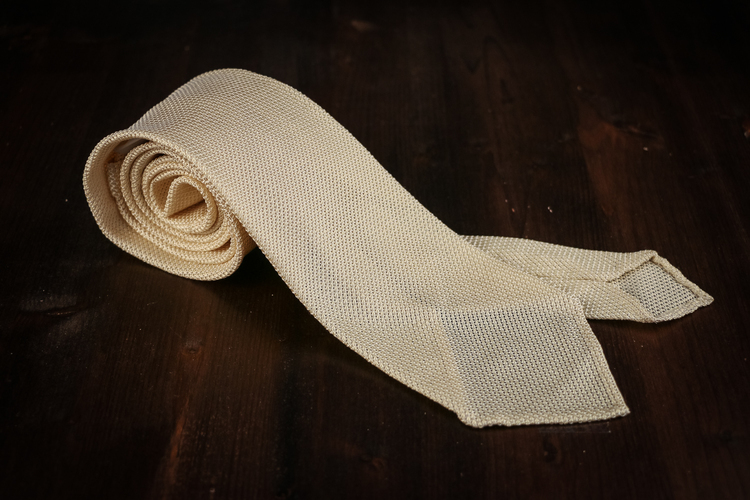 We offer ties in both the Grossa and Fina weave, where Grossa is the thicker of the two. 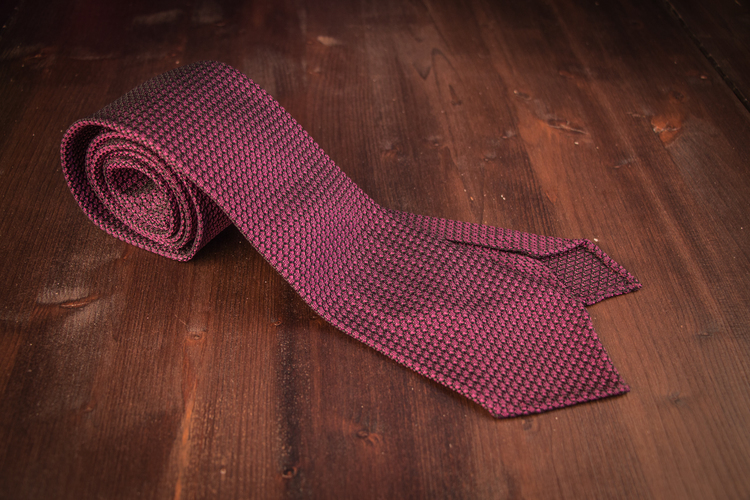 All our grenadine ties are partially unlined with handrolled ends, the way it should be according to us. 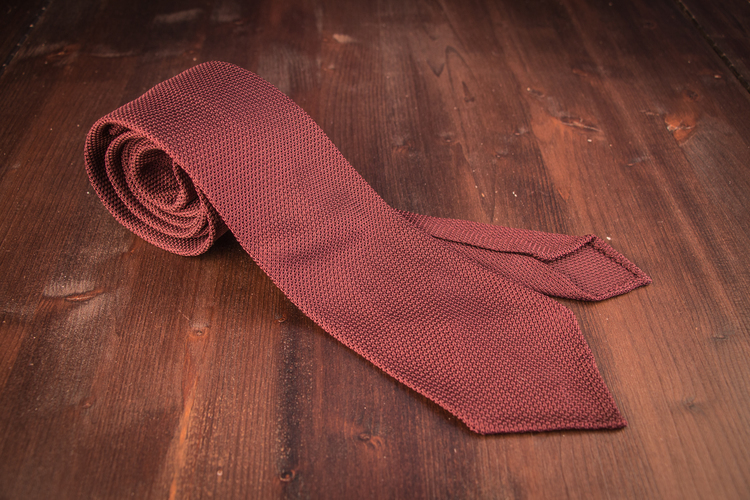 Use your grenadine tie with a suit or an odd jacket, it's one of the most versatile ties you can own. 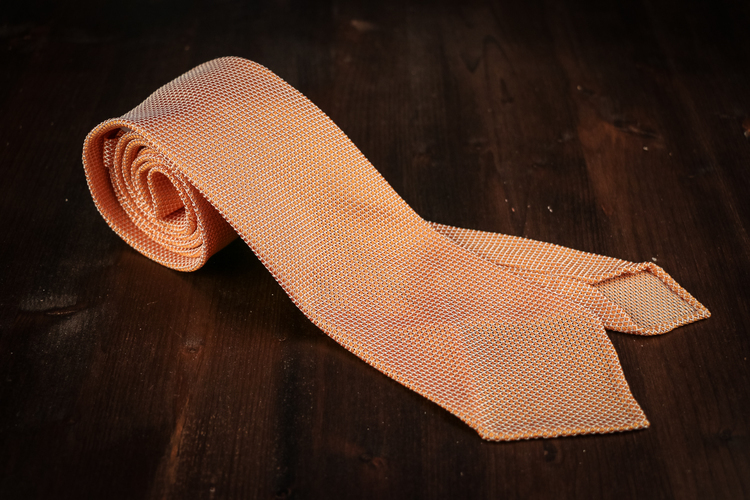 To mention that Sean Connery wore a grenadine tie in the James Bond movie Dr No hardly makes the tie less interesting. 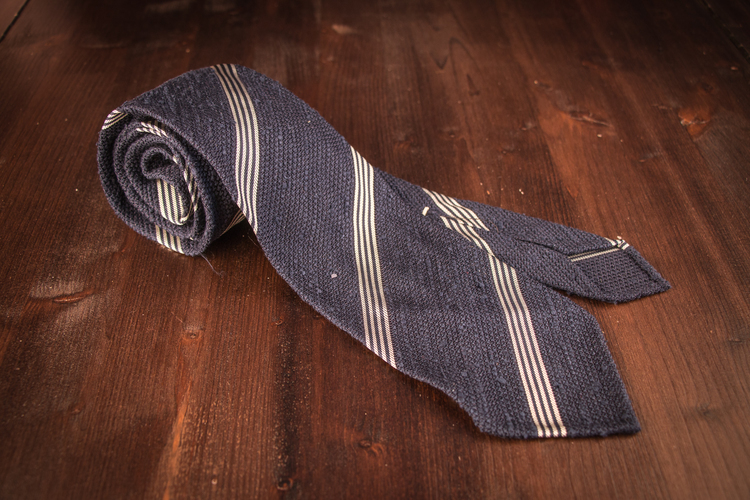 add a pocket square that match your tie or shirt. 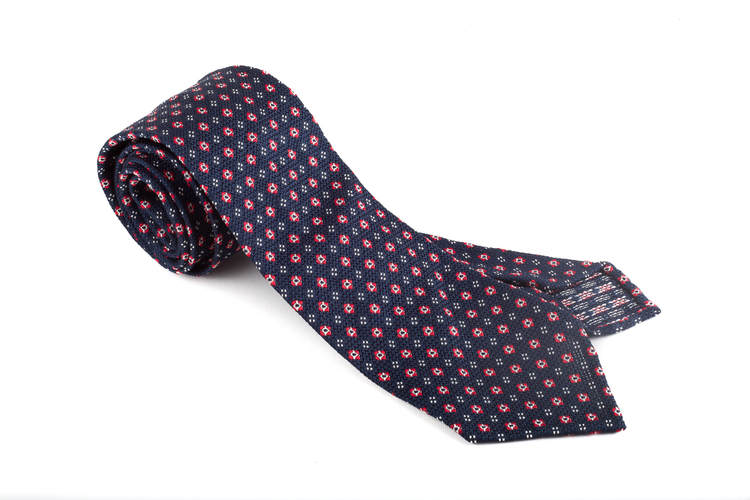 We recommend to use the asymmetric four in hand knot.